10/5/2014 – PoMo has had numerous change of tenants for the past few years. With Kaplan recently occupying the higher levels of PoMo, the latter has also went through another round of tenant changes. It now offers more F&B choices instead. 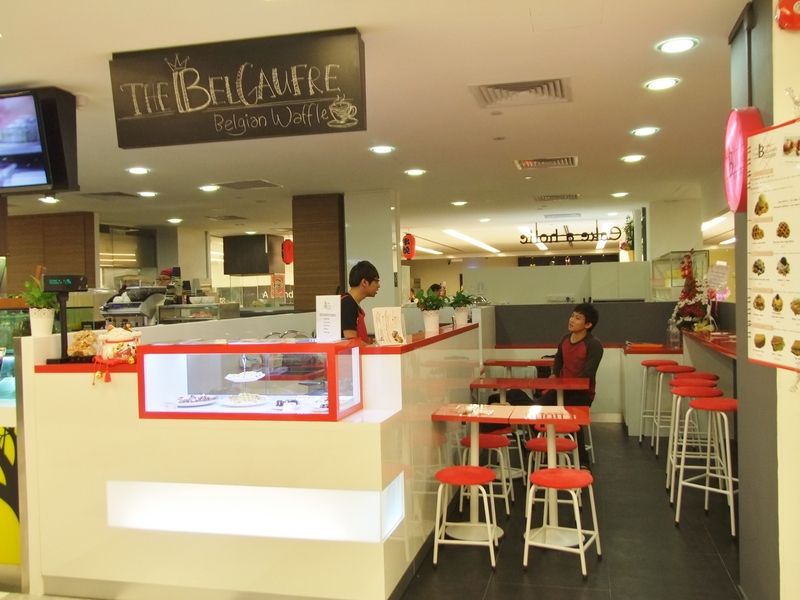 The BelGaufre is one of the food stalls that resulted from this change. 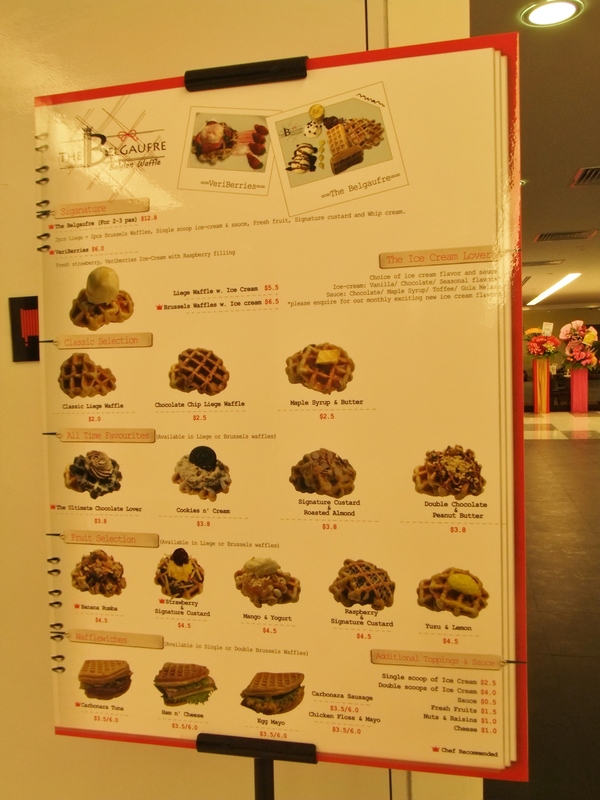 There are different type of waffles to choose from, from the savoury wafflewiches to the sweet and fruity waffles, from liege waffles to brussels waffles. The Signature Custard & Roasted Almond ($3.80) waffles came in the liege variant. 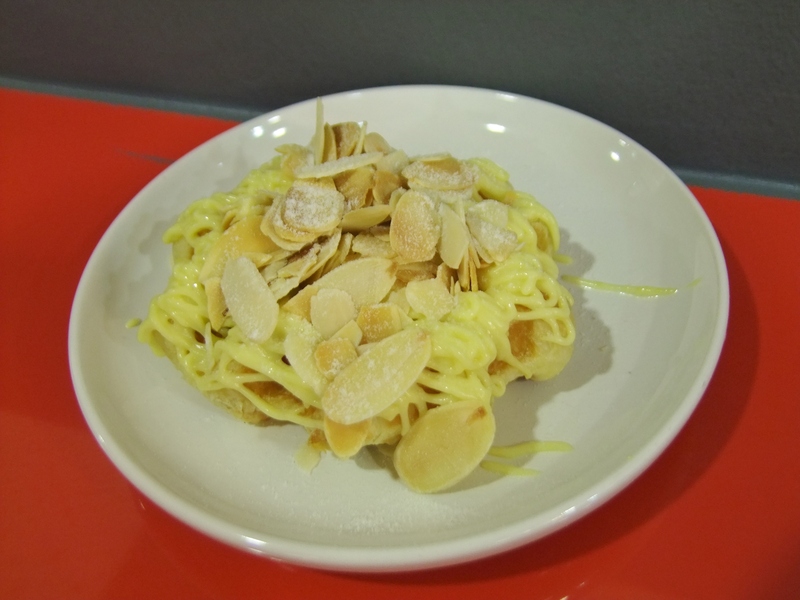 The custard was rather soft and goes really well with the roasted almond. The liege waffle here is similar to the original methods; it tasted rather similar to bread, is filling and chewy. The Banana Rumba ($4.50) is one of the chef recommendation. 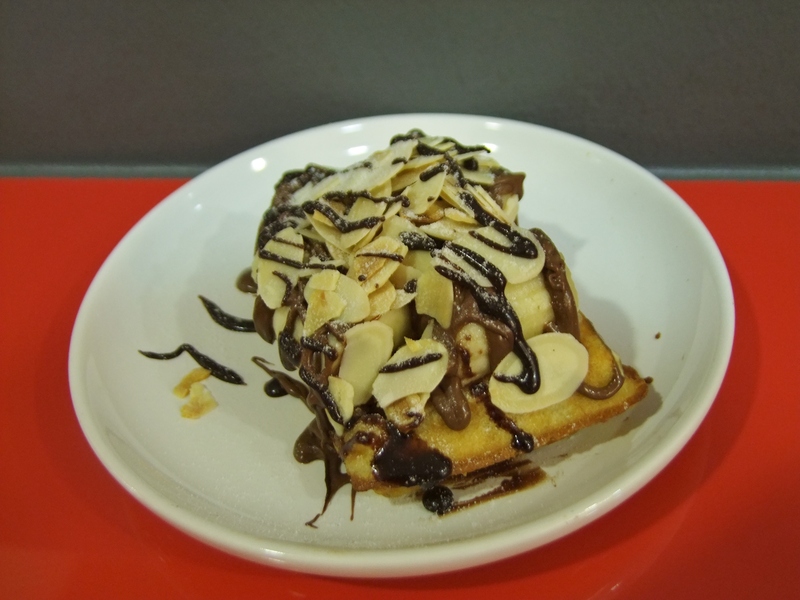 This waffle, made Brussels style, came with lots of sliced bananas and roasted almond and covered with chocolate sauce is a must have. The Brussels waffle is soft and light, allowing the bananas and almond to unleash its full taste. The downside about the Brussels waffle here is that it is less crisp. I would have chose the Liege variant instead as the Brussels waffles, because of its light taste, is not to my preference. With the unique type of waffles that they are serving, and its proximity to the Dhoby Ghaut / Bencoolen area, this place has a great potential for more customers to drop by as visitor flow to PoMo increases.